January isn’t kind to your Instagram feed. Everyone (including you) has decided to take a sensible break from drinking and start eating healthily, leaving you bereft of colourful cocktails and mouth-watering morsels to snap to your followers. That’s why you need to introduce smoothies to your new year routine. As stunning as they are healthy, these fruity creations are the colour and nutrition-packed solution your dry January woes. To get you feeling inspired, here are 3 ways our favourite foodies transformed healthy raw ingredients into edible works of art. 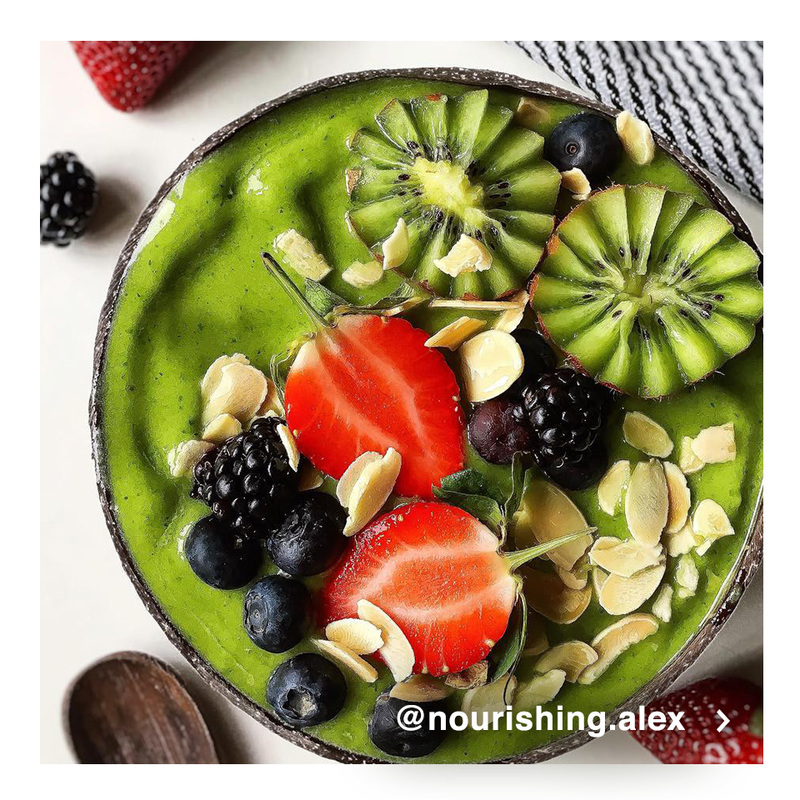 Let’s get started with something as simple to make as it is stunning from the plant-based @nourishing.alex. Topped with strawberries, kiwi, blueberries and flaked almonds, this fruity delight’s frozen base is made from just four easy to find ingredients: frozen bananas, frozen pineapple, a handful of fresh spinach and a splash of oat milk. 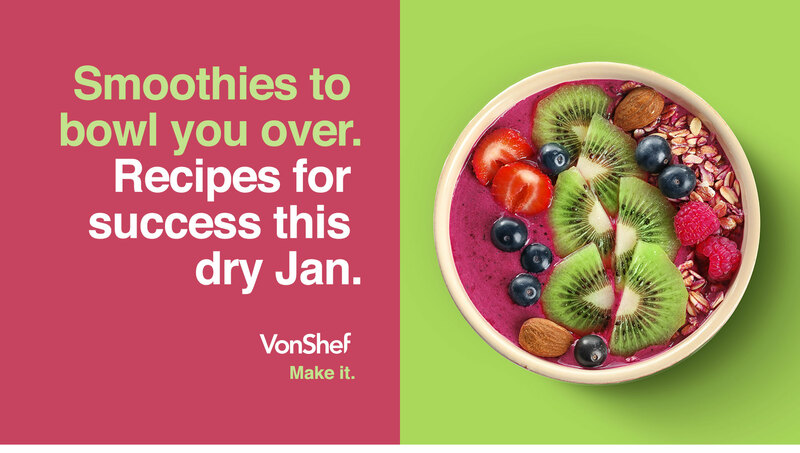 With an ingredient list as straightforward as that, there’s really no reason why you can’t start introducing smoothies to your new year health plan straight away. Next up, check out what the incredible Emily Moreton AKA @emmoreton has been up to…. Yes - believe it or not - that’s a smoothie you’re looking at. And since Emily is a qualified nutritionist, you can bet it’s a healthy one too. 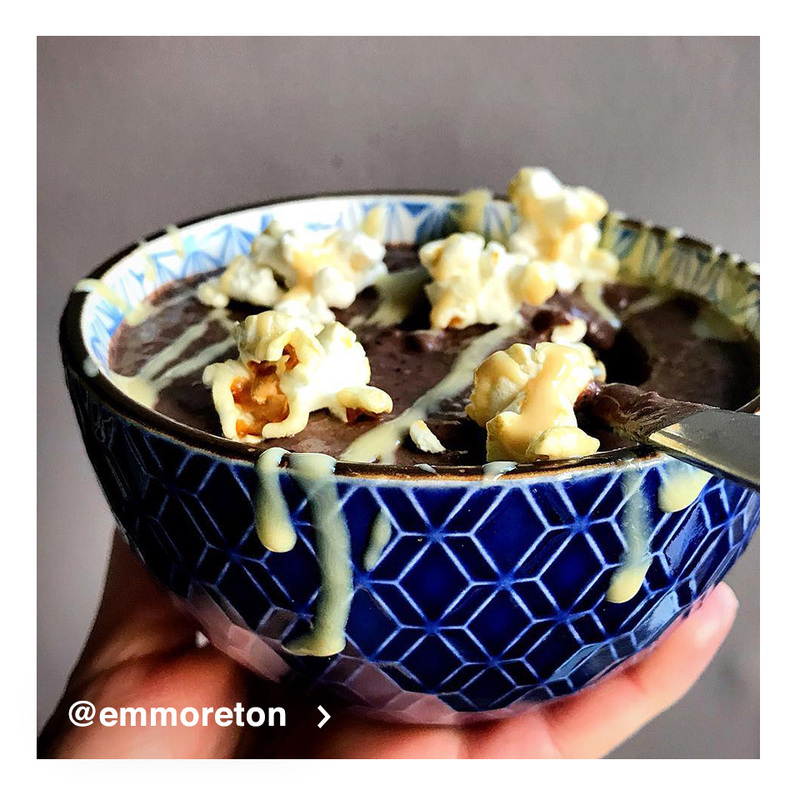 To make it, she blitzes together frozen banana, frozen coconut, frozen blueberries, avocado, coconut yoghurt, almond milk, cacao powder, protein powder and collagen peptides into a smooth blend before topping it with drizzled almond mousse and a few pieces of popcorn. Finally, it’s time for another smoothie you can’t believe isn’t a dessert. 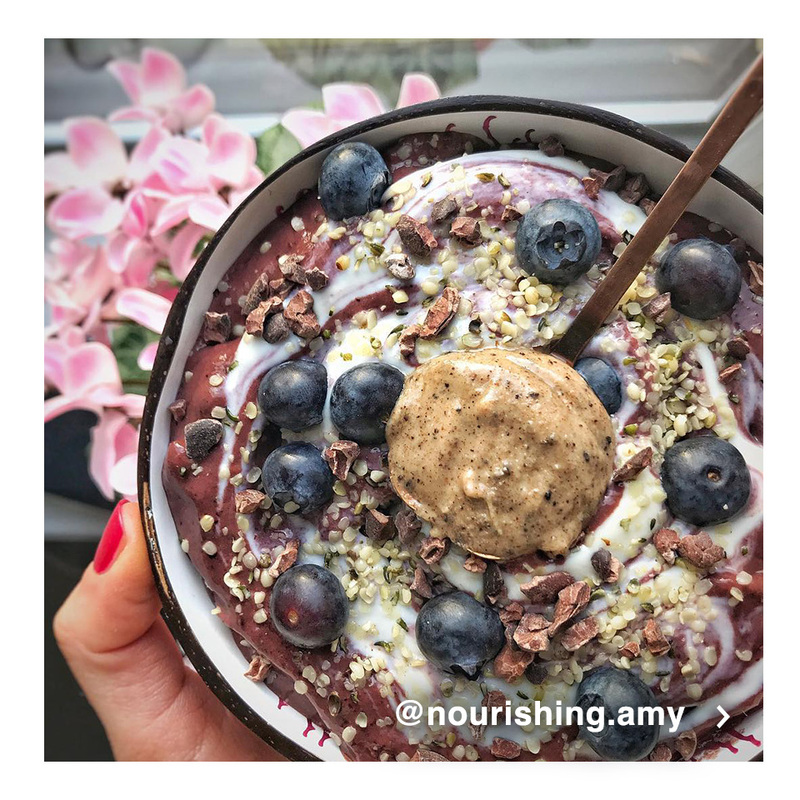 Meet the salted caramel berry acai bowl created by vegan foodie @nourishing.amy. The smoothie base is made from banana, mixed berries (including açai), spinach, salted caramel protein, oat milk, maca & beet powder and cinnamon, which is then topped with a swirl of coconut yoghurt, blueberries, cacao nibs, hemp seeds and espresso nut butter. Bursting with equal parts deliciousness and nutrition, this is all the proof you need that smoothies are the best way to take your five a day to the next level. A couple of strawberries here, a spoonful of peanut butter there - maybe throw in some blueberries, blackberries and cashew nuts for good measure? When it comes to concocting smoothies, the flavour combinations are endless, and always exciting. 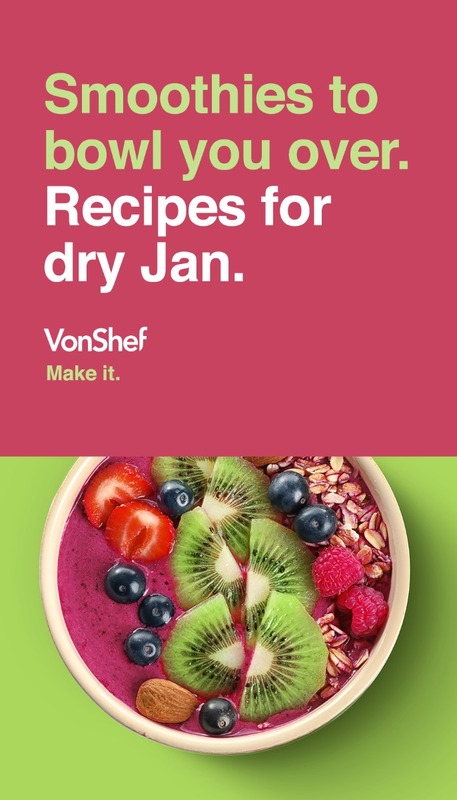 So if you’re ready to turn Dry January into Delicious January, get yourself a VonShef UltraBlend Smoothie Maker and start showing off your own spectacular smoothie creations. es - believe it or not - that’s a smoothie you’re looking at. And since Emily is a qualified nutritionist, you can bet it’s a healthy one too.